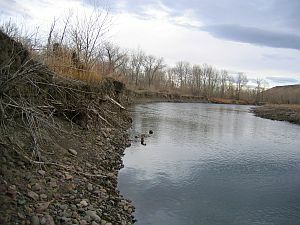 The Blackfeet Tribe and the United States Environmental Protection Agency came in cooperation to initiate a Tribal Non-Point Source (NPS) Pollution Program so all Tribal waters will have protection and restoration. The Blackfeet Tribe will protect, maintain and improve reservation water quality and provide for the beneficial uses of Tribal waters. With control over Non-Point Source pollution through implementation of the NPS program this will add to the Tribe’s commitment to improving and maintaining water quality for all reservation waterways and ground water resources. 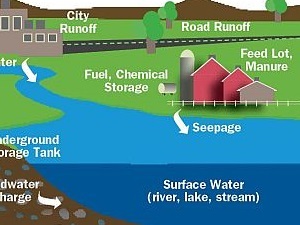 Non-Point Source pollution occurs when rainfall, snowmelt or irrigation runs over the land and through the ground picking up pollutants and depositing them in rivers, wetlands and lakes or introducing them into the ground water. 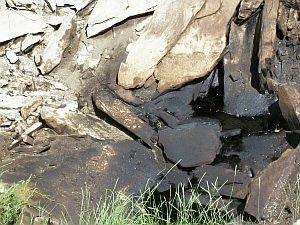 NPS pollution also includes adverse changes to the vegetation, shape and flow of streams and other aquatic systems. The most common NPS pollutants are sediment and nutrients, these wash into water bodies from agricultural land, small and medium size animal feeding operations, construction sites and other areas of disturbance. Other common NPS pollutants include pesticides and fertilizers, pathogens (bacteria and virus), salts, oils and grease, toxic chemicals, trash, and animal waste. The goals of Blackfeet NPS are to improve water quality and prioritize projects in Unified Watershed Assessment (UWA) area. Also, to develop water quality monitoring plans for NPS projects with the objectives to address NPS pollution sources and activities as they contribute to water pollution. 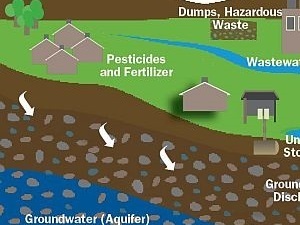 For further information please visit Septic Smart. The 319 Non-Point Source Program is required to report all data to the EPA in midyear and final reports. 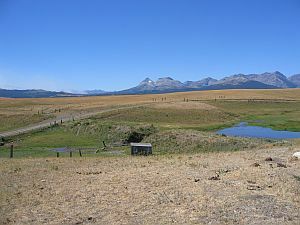 The Blackfeet Environmental Office works with other cooperating agencies and occasionally receives secondary funding and technical assistance from the Natural Resources Conservation Service, the US Fish and Wildlife Service, the State of Montana, other Native American Tribes and various Blackfeet Tribal Departments.